I really can’t imagine what I was thinking? I played all over England, Scotland, Wales and Northern Ireland with all of my bands and musical projects, starting in the seventies and continuing way into the 21st century. But for some reason apart from some sporadic shows in London over the years, I have never ventured out into the country proper. Manchester, Birmingham, Edinburgh, Bristol – I have managed to miss them all. 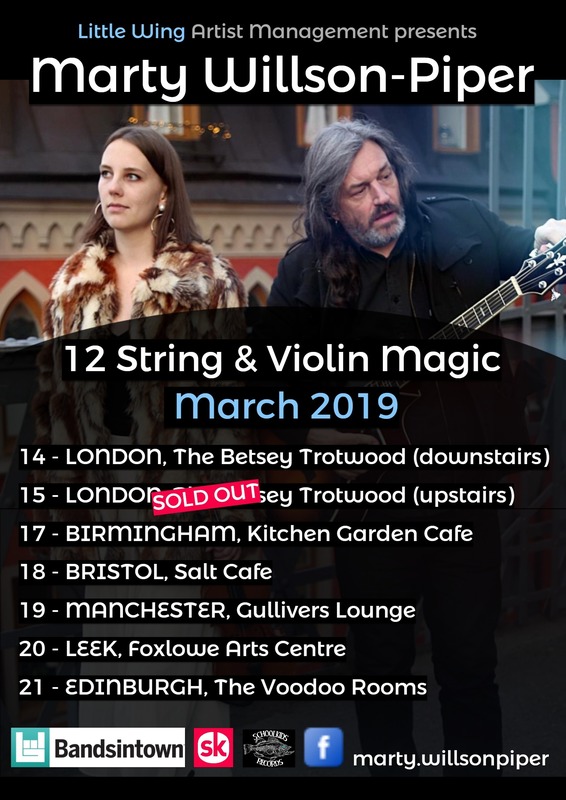 Well, all that will be changing with this announcement, because in March next year I will be heading out on a UK tour playing all these places with my wife and violinist Olivia​. We will also play Leek in Staffordshire, London, and hopefully Liverpool, as well as a couple of others that we are still investigating. I will be playing two sets with songs and stories from across the past and into the future. In London I will be playing two shows in different rooms at The Betsey Trotwood in Clerkenwell, an earlier date downstairs has gone on sale since the upstairs date SOLD OUT. 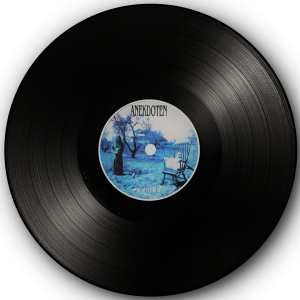 With a new Noctorum​ album completed, a new MOAT album written and a new solo album on the drawing board, plus nearly 40 years of releasing albums, writing songs and playing with a long list of diverse artists, I’d like to think that Olivia’s and my interpretations on the 12 string guitar and violin add a special ring to the catalogue of music that I have been involved with and continue to make. Come see. We are happy to announce that we have added another date to our British tour. We will be playing in Liverpool at Smithdown Social Club on Friday, March 22nd and it also sees appropriate to announce this today as we are in Liverpool to see Paul McCartney. 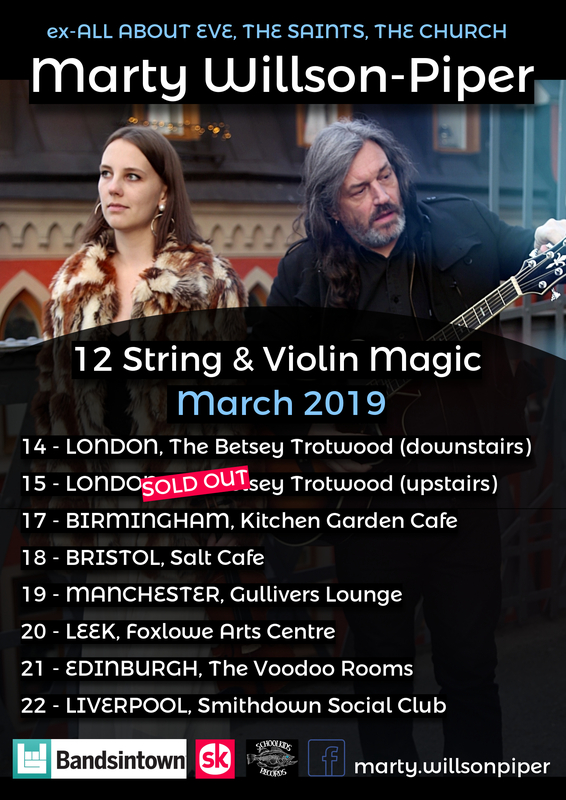 Also everyone should know that both the Manchester and the second London date have less than ten tickets left – the first London show is sold out. So although it’s still 3 months away, be quick.